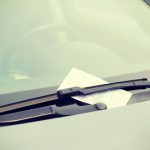 Last Thursday, the driver of a car parked near the intersection of place Bel-Air and rue de la Corraterie received a nasty surprise. The driver, who works in a nearby bank, left her car parked across tram tracks for 40 minutes, according to Tribune de Genève. This single mistake had a knock-on effect that reverberated through Geneva’s public transport network snarling up traffic flow in the central city. 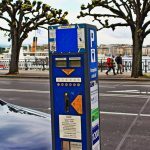 Fines for interrupting public transport in Geneva are high. Blocking one of the long trams costs CHF 25 per minute, blocking other trams costs CHF 18 per minute, and blocking a bus costs CHF 8 francs per minute. The VW Touran with Geneva plates, blocked one tram and three buses. According to Tribune de Genève’s back-of-an-envelope calculation the total fine is likely to total a minimum of CHF 1,800. Incidents like this are rare. In 2016, TPG, Geneva’s public transport operator, recorded only two cases where fines of around CHF 700 were issued. In 2015, TPG sent a bill of CHF 1,630 for a similar incident which blocked the flow of part of public transport network for 35 minutes. Last week’s incident caused a public transport tailback of nearly 1 km, which ran as far as la place des 22-Cantons, near Cornavin, Geneva’s main train station. The car was eventually towed at 9:15 am.